Winter is looooong where I come from. And sometimes, I girl’s gotta dream about bright sun and warm waves. I spotted this beach house designed by Echelon Custom Homes that was recently featured at House of Turquoise, and inside was this amazing bedroom. 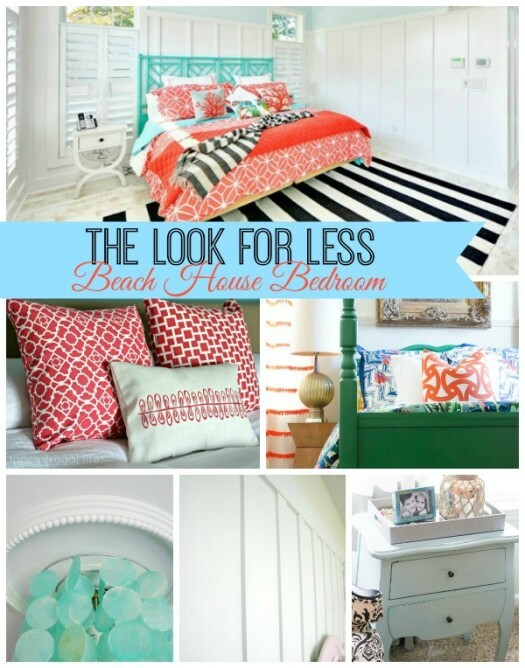 If you’d love to make your home a year-round beach house then check out the following 5 Ways to Get This Look. When the days get hot and muggy, it’s easy to start dreaming about having a cottage by the lake or sea. This bedroom is part of a beach house featured by House of Turquoise and Coastal Living. It looks like the perfect place to stretch out and take a nap after combing the beach for driftwood, doesn’t it? 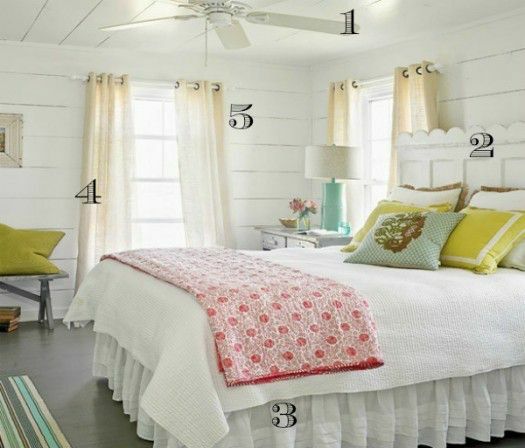 Knowing that I’m not the only one who dreams of a cozy cottage with water views, I looked around blogland and found five tutorials to help you make a room that looks like this one.